I own a copy of a A Wanderer in Paris by E.V. 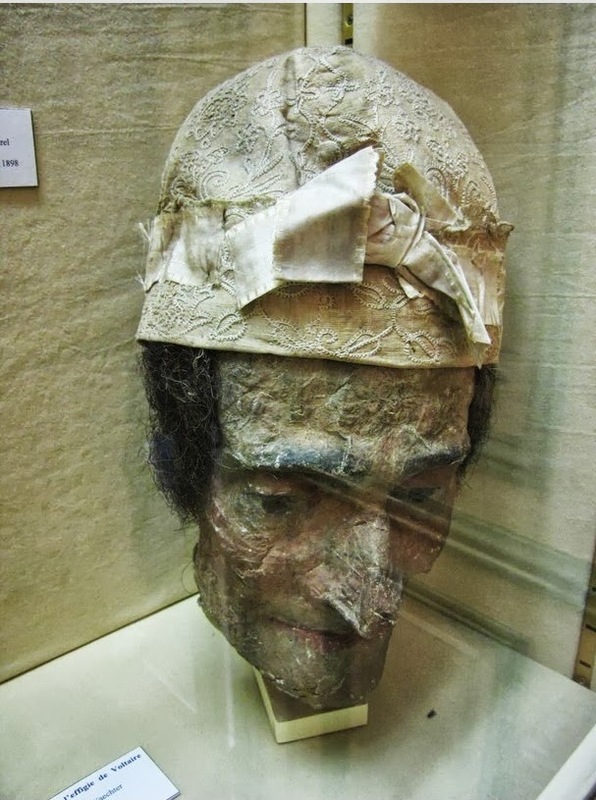 Lucas, dated 1908, in which our intrepid Edwardian cultural explorer encounters in the Musée Carnavalet a "painted life-mask of Voltaire, very horrible". Is it still there, I wondered? Well, it is and it is still horrible. I haven't managed to discover any more about this delight, but thanks a lot for your gift, Maurice!